What do they say about gangster style? Not knowing when to stop with the good taste? I'm not sure that applies to Harold Shand, the protagonist in the greatest British gangster film, The Long Good Friday. Shand's style is understated and smart, but it's never too much, which helps put the charisma and quiet menace of the character into sharper relief. 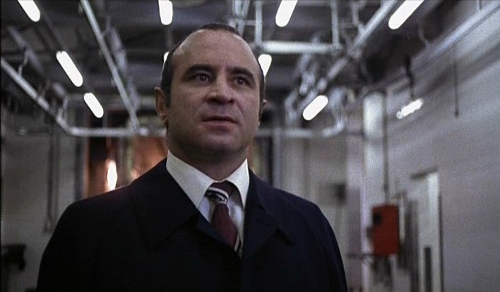 What a performance by Bob Hoskins as Shand, the patriotic East End villain, leader of men and a man imbued with ambition and a (slightly skewed) moral code. 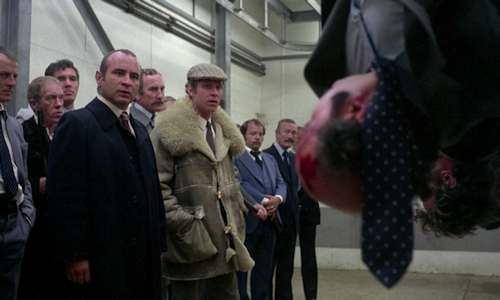 The ending mesmerises each time — an absolute acting masterclass from Bob Hoskins. As a consequence of watching this film, who could ever forgive Jeff or Councillor Harris? As an aside, Hoskins was also excellent in a BBC version of Middleton and Rowley's The Changeling. I can't find a copy of this anywhere. Please let me know if you can. The music wasn't as memorable as with The Long Good Friday though. Francis Monkman's wonderful soundtrack for the film blends jabbing synths, disco strings and jazz sax sounds to make a distinctly London sound — somehow. Let's listen to the famous Taken from the close of the film and witness bravura acting with perfectly fitting music. I don't want to spoil your fun, so don't press play if you've never seen the film and fully intend to. Or perhaps listen to the music with your eyes closed — better.